I have retained this firm three times to resolve an overwhelming collection that I cannot afford. Aside from providing relief from the emotional turmoil of dealing with the IRS, this firm successfully resolved my collection issues above and beyond my expectations. I would highly recommend the firm to anyone who is in over their head with the IRS. Our taxpayers had unpaid assessed federal Form 1040 liability for several years in excess of $70,000.00, inclusive of penalties and interest. We successfully convinced the IRS to deem the taxpayers as temporarily uncollectible. Deemed temporarily uncollectible means that the taxpayers’ liability still remains in full force and effect and interest and penalties continue to accrue. However, the IRS will not take any enforced collection action against them, like seizing their pay or bank accounts, provided no events occur that remove them from uncollectible status. 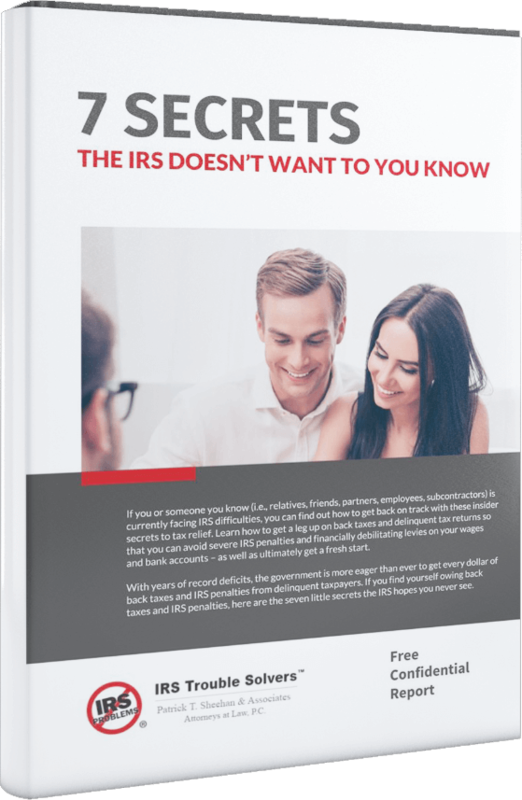 The IRS will often review a taxpayer’s uncollectible status after two years. The liability does not go away and the IRS will seize all future refunds until the liability is paid in full or the collection statute of limitation expires. Being deemed as temporarily uncollectible is generally not a permanent resolution to one’s IRS problems, but it gives the taxpayers enough time to get back on their feet.